Let’s say you eat 500 calories more each day, which is easily done with all the sweets and high calorie festive drinks (see yesterdays post) Over a week that’s 3500 extra. With the calorie output being 1050-1400 calories less and the output being 3500 more, that’s a total of 4550-4900 and that’s me being modest. You can see why it’s easy to gain the winter weight. It’s not about being perfect and not having fun. It’s important to enjoy the festivities, but you don’t have to put a stone on either. 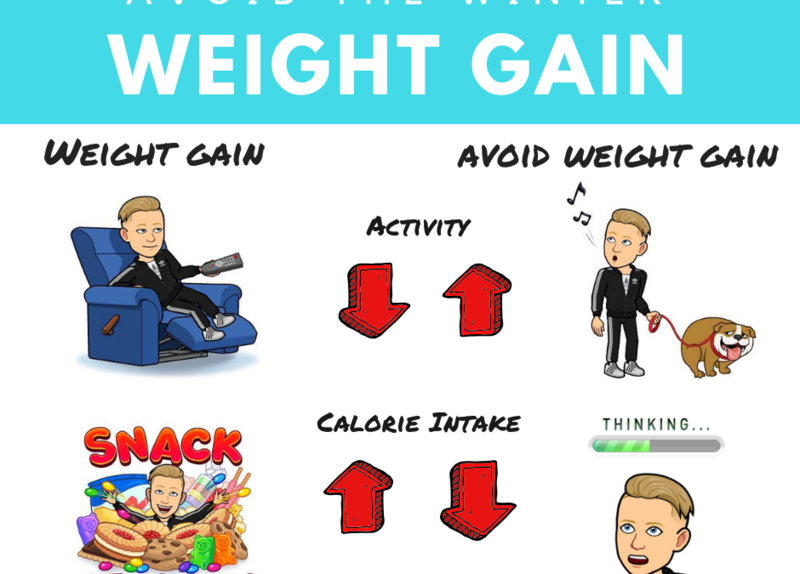 Just being aware of reduced activity and the calorie content of what you are assuming will help you to make positive actions to reduce weight gain. Maybe make small changes to increase activity, like walking the dog more, taking up a sport or just simply standing more. It’s easy to become sedentary over the winter months. Also Maybe worth implementing dieting strategies like intermittent fasting to reduce the risk of over eating.